One of the most discussed games of the last year was This War of Mine, a survival-themed strategy game giving the player control of a small handful of survivors struggling to get through each day as a war destroys everything around them. While it takes place in a fictional nation, the setting is clearly inspired by the long siege of Sarajevo during the Yugoslavian wars of the 1990s. It might seem odd to discuss this game in an article with the word “mundane” in the headline since the premise is so dynamic. However, while the setting is vivid, the tasks left to the player are far different than your typical war game. There are no heroics on the battlefield, only the desperate efforts of a few regular people to stave off starvation. In order to stay alive, the civilians need to cook food, rummage through garbage and debris looking for useful materials, create appliances out of those materials and trade with other people for goods. If you fall behind on your duties, the characters can die from a number of causes including starvation, illness and suicide. Life has been turned into a brutal grind and yet the game is incredibly compelling. How does that work? Of course, the scenario doesn’t always have to be so grim. Several critics noted the similarities between some elements of This War of Mine and The Sims, the popular series about guiding people through their daily lives. “Sims” are a genre of their own, whether it’s running a city (SimCity), a country (the Democracy series), having a successful romance (too many to count) or being a goat (alright, that one’s a little different). 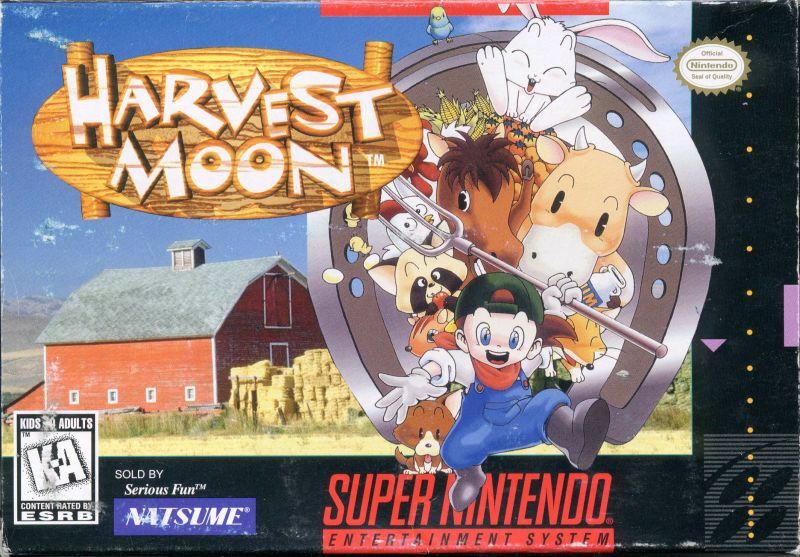 This concept goes back quite a ways – during the Super Nintendo days, if you were tired of the usual platforming or shooting, you could try your hand at being a farmer with Harvest Moon. So how do these games manage to get players so interested in performing tasks they might not be interested in during real life? There is a lot of potential discussions to be had, but I think it’s about the mindset these games put you in. You have to think in a manner similar to the role you are playing, which in turn gives you insight about the real-life equivalent. In the Democracy series, if you try to hammer through an agenda without gauging the public’s mood, you will probably find yourself assassinated. I remember being surprised how quickly I would find myself flat broke while playing SimCity in the 90s. It gave my teenage self a better understanding of the complexity of keeping a city running…and that was before the alien ship came and destroyed everything. This War of Mine forces you to make increasingly agonizing decisions to keep the characters alive. Early on, you are given the option to raid an old couple’s home for food, knowing full well they won’t be able to fight back. I resisted this for a long time, using other means to look for food. But eventually things get so dire that I sent one of the characters over to clean out their fridge. The character who did the pilfering was depressed for days and I didn’t feel all that great about it either…but this is the kind of thing that happens in a war zone. As players, if we get uncomfortable with a game for whatever reason, we can always turn it off. But the people of Sarajevo could not, they lived like this for four years until the war finally ended. It’s a sobering realization and one that shows the potential these kind of games have for making you understand different experiences in a way that other forms of entertainment can’t quite manage. What do you guys think? What makes simulation games so fascinating? What is the secret to doing it well? Let’s talk about it in the comments! Great blog post. I’ve been really wanting to play _This War of Mine_ for a while. It seems like my type of game. I would reckon it works because the stakes are so high, and you’re dealing with moral stakes rather than just the arbitrary “get more points” things. Reminds me of _Papers Please_, a “Dystopian Document Thriller” filled with adult fears, moral decisions to make, and often making the morally correct decision leads your family to go hungry/sick, or some other calamity fall upon you. _Cart Life_ is similar, dealing with the mundanities of everyday life, such as applying for a permit for your cart, picking your daughter up from school, and so on, in a very dreary monochrome art style, making it similar to _This War of Mine_ in terms of visuals, but with a much more bit-restricted appearance. I think one of the keys of all these mundane tasks, is like in any form of media, the stakes don’t need to be the entire world in order for the player to care about them. If you know the character well enough — and in games, this doesn’t have to be in cutscenes, in fact, it’s best implied through the context of gameplay — then you can feel their tragedy and suffer their losses. Experiencing the mundanities and the specific smallness of the character’s life can really get you to connect with them as real, fleshly human (or other humane being) characters. I’ve heard a lot of great things about Papers Please and I will definitely check that out at some point. Seems like another good example of a game replicating someone else’s struggles in a way that inspires great empathy. This War of Mine does that very well and it’s also just a totally absorbing experience. I’ve put a lot of hours into it already and I keep wanting to do more playthroughs to see how well I can survive the war. Next post: Working 24/7 Won’t Help Your Game.